By Xah Lee. Date: 2013-08-01 . Last updated: 2014-05-25 . Here's the idea of the math. Start with several dots around a circle. Add many other such circle of dots in different places. Draw the boundary between neighboring dots, such that the boundary is equal-distant to the dots. 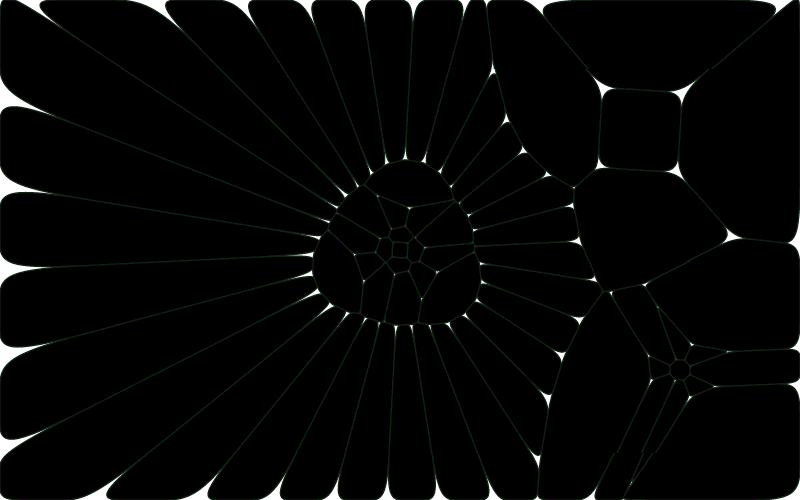 This is called the Voronoi diagram. Round out the corners of the boundary. Now, let these dots rotate around their center.